We have been a premier computer repair service provider in Ipswich since 2001. We provide a mobile computer repairs and IT service to residents and businesses within the City of Ipswich and surrounding areas. Our team of expert Computer Technicians can fix whatever headaches you’re having with your computer, phone, tablet, or anything else tech-related! Our highly trained technicians can troubleshoot all PC and Apple Mac problems. We can make your computer run as fast. Our services also include software updates, hardware installation and virus removal. We service all types of computers – both Windows and Mac OS. Affordable Hourly Service Fee ($110). PC Repairs, Mac Repairs, Laptop Repairs and a broad range of IT Services. We come to you to set up your new PC or Apple Mac computer. We can easily configure your home and office network as per your requirements. Our technicians will install all programs, setup network and email on your new computer in Ipswich. Our highly trained mobile computer repairs technicians knows about all the tools to recover lost data files. No matter which operating system you use, we can troubleshoot your everyday mobile computer related problems. We provide a full range of PC, Laptop and Mac Repairs and IT Services for both Ipswich businesses and residents. 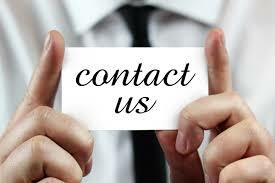 We provide the most promising IT support to our clients across Ipswich. Pc Repairs Ipswich is well known in the Ipswich and surrounding areas to assist with all your computer and laptop repairs for home, offices and small businesses.